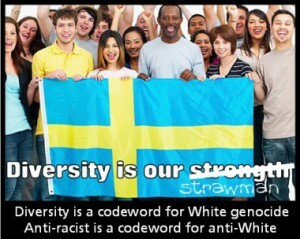 It has been said in recent years that within 10 years Sweden will be the first non-white country in Europe. While looking at religion, especially Christianity in Europe I stumbled on something I had not expected: Christianity in Sweden! 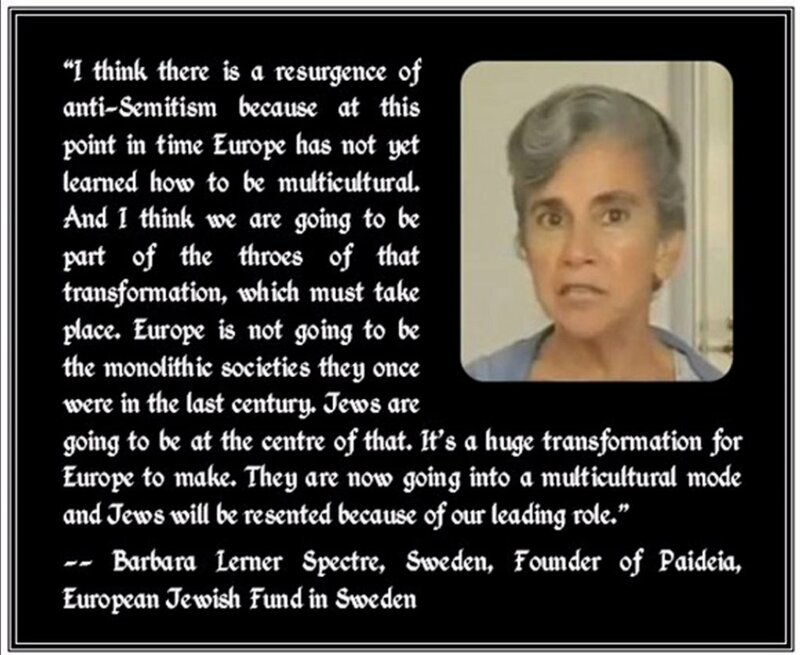 You may remember this disgusting quote from a miserable little Jewess from America who went to Sweden to cause problems there. 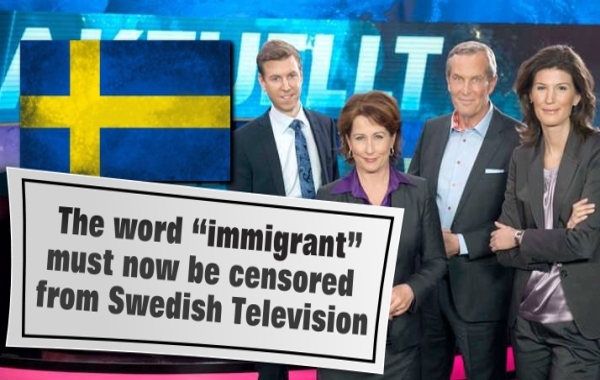 It has been said in recent years that within 10 years Sweden will be the first non-white country in Europe – that’s how fast they’re sinking. I was looking at religion, specifically Christianity, in Europe and you’ll see that Switzerland, Germany and Portugal are not very Christian at all. But look at the far left and you’ll see that Sweden is the 3rd most Christian country in Europe! 75% of its population is Christian!! So here’s my question: What role does Christianity in Sweden play in the “Liberal” madness that is causing Sweden to take in hordes of blacks!? Could Christianity be playing a role in killing the whites of Sweden? ← The Wisdom & Inspiration of General Patton – Also: What he said about the Germans! FALSE Babylonian Christianity is killing Sweden – you haven’t figured that out yet Jan?? Religion is cancer and if u havent understood that yet, worse for u. We hate Jews for all the good reasons but we adopted a Jewish god (Jesus) and became his slaves, dont u think its criminally ironic? Oh yes, its tradition, normality and….. logic according to u. Thank “god” for being an atheist and if atheists represent evil, then its a beautiful world. Religion is, in origin, scrupulousness. The meaning of the Latin word, and a very fine human trait. Western Christianity is certainly inherited from Jews, but its origin is less important than its meaning and its affect, which by tradition has been a schooling in a fairly good moral code and an emphasis upon taking responsibility for one’s actions. The long term affects of such forms of scrupulousness are extremely positive. I’m an atheist by family background and personal inclination, but that doesn’t blind me to noticing that most of the best and most pleasant people I’ve associated with have been Christians, not atheists and not Jews or Muslims nor Buddhists, et al. The problem with atheism is that its for thinkers, not a whole society. When a whole society becomes atheist it appears to lack a moral foundation capable of resisting pernicious influences like Communism and Talmudism. 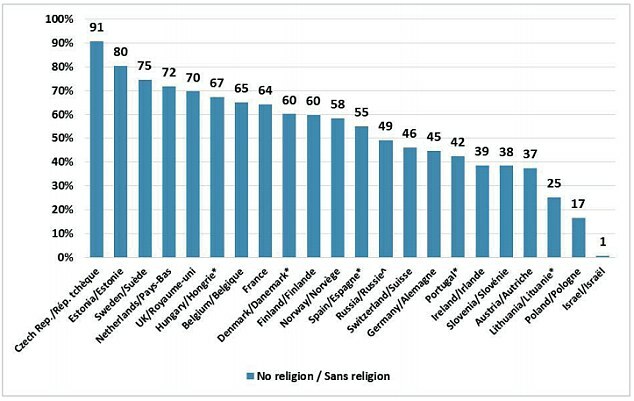 In any case the chart Jan has published here would seem to indicate that the advance of atheism in Sweden has contributed to its present social malaise.